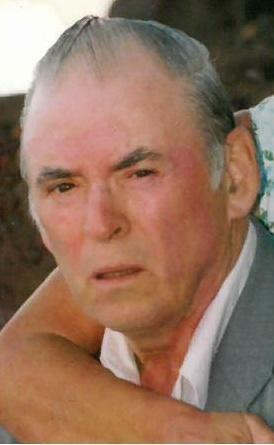 Peacefully, with his family by his side, at the Queen Elizabeth Hospital on Sunday, July 12, 2015, of John P. Rose of Charlottetown, age 68 years. Born in St. Andrew’s, P.E.I., he is the son of Ruby and the late John S. Rose. Beloved husband of Jean (nee Dunn) and dear father of Laurie Kelly (Doug), Karen Rose (Angus Orford), John Jr. (Fran MacKinnon) and Charmaine Judson (Danny). Special Poppy of Whitney Rose, Annika, Tatiana, Maura and Liam Kelly, Henry, Margaret and Malcolm Orford, Alicia and Josh Judson. He is also survived by brothers, Bill (Marlene Clark), Danny (Debby), Garry, Tom (Florence), Eric (Erma), Donald and Larry; sisters, Margaret (Bob Huskins) and Rhonda (Mike Redmond); as well as numerous nieces and nephews. Brother-in-law of Susan Rose, Ralph “Dewey” Dunn and Pauline Doyle. He was also predeceased by brothers, David and Kenny; sister, Mary; mother and father-in-law, Maude and Ralph Dunn. Resting at the Hennessey Cutcliffe Charlottetown Funeral Home from where the funeral service will take place in the funeral home chapel on Wednesday at 10:30 a.m. No visitation by personal request. If so desired, contributions in memory of John may be made to the Heart and Stroke Foundation of P.E.I., the Canadian Diabetes Association or the Kidney Foundation of Canada.